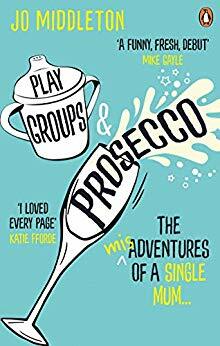 I’ve a copy of Jo Middleton’s hilarious new book called ‘Playgroups And Prosecco’ to give away to one lucky book lover. Jaffa Cakes – 7. Times I was forced to watch a small child do a dance involving a dusty piece of ribbon found under the sofa – 4. Inappropriate thoughts about Zac Efron – undisclosed. Single mum Frankie’s whole life revolves around her kids. But when your toddler has a more active social life, something has to change. Forget ‘me-time’, Frankie would settle for some adult conversation, and watching something other than the Disney channel. To be in with a chance of winning, simply answer the following question with leaving your in the comment box below. Who does Frankie have inappropriate thoughts about? The winner will be revealed on Monday 29th April. Good luck!